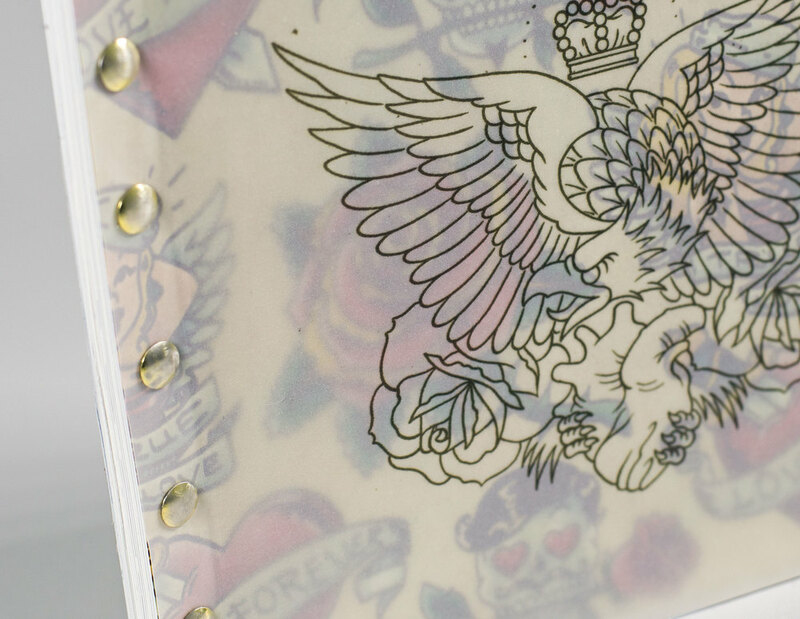 Design a catalog on a topic of my choosing. 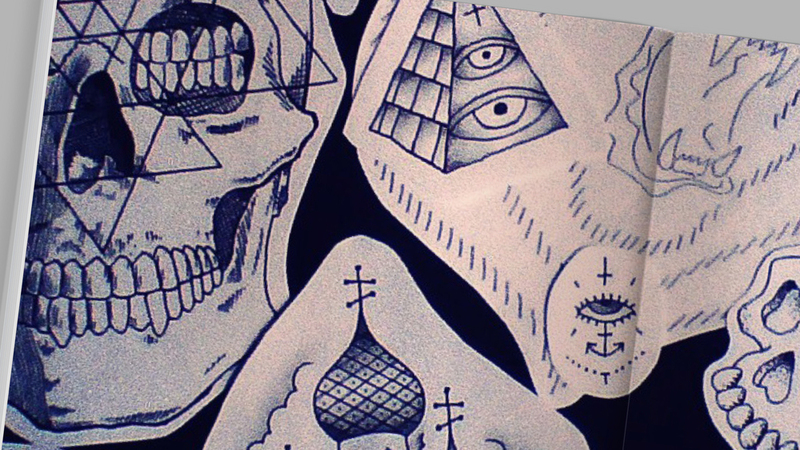 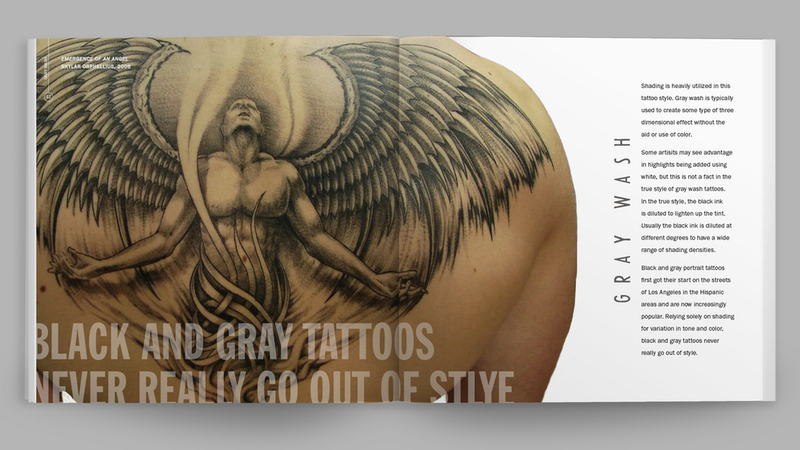 Tattoos are as popular as ever and serve as an outlet of self-expression. 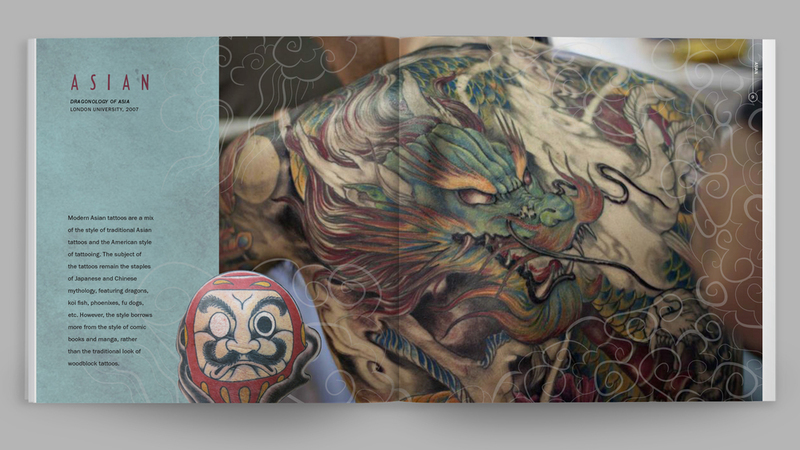 The art of tattooing includes a number of unique styles, each with their own characteristics and meanings. 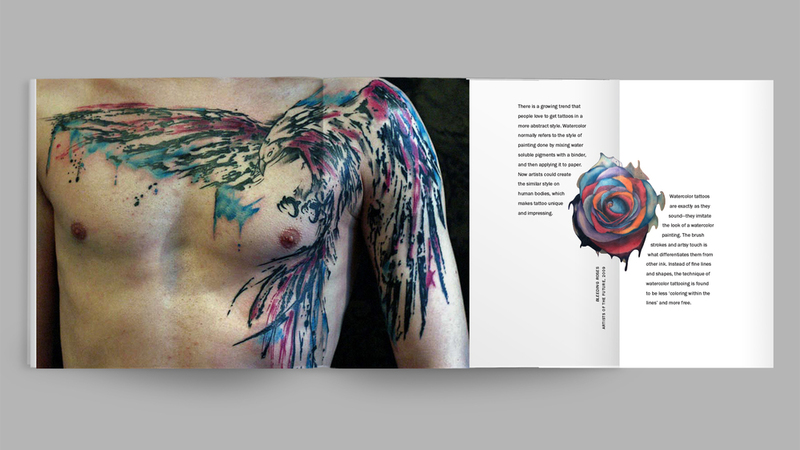 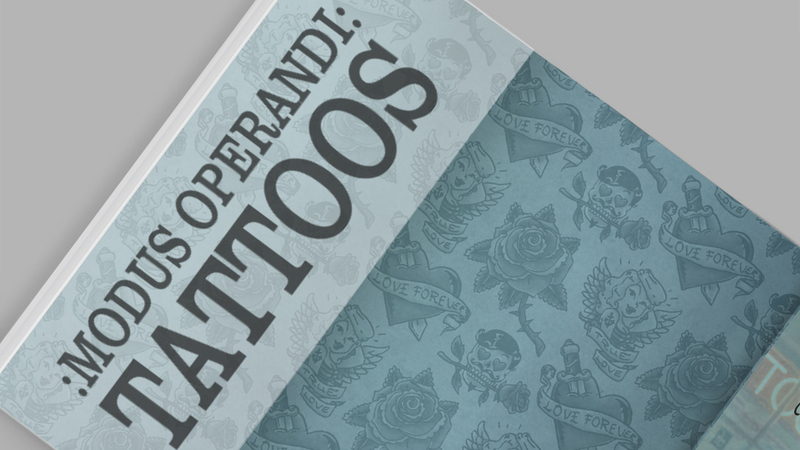 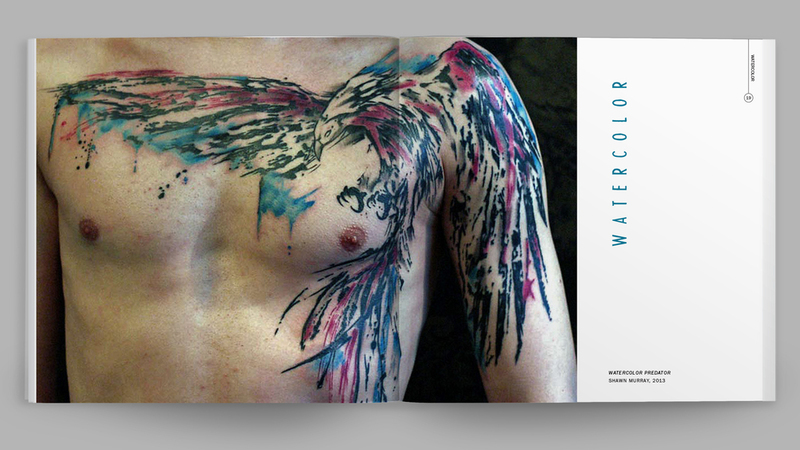 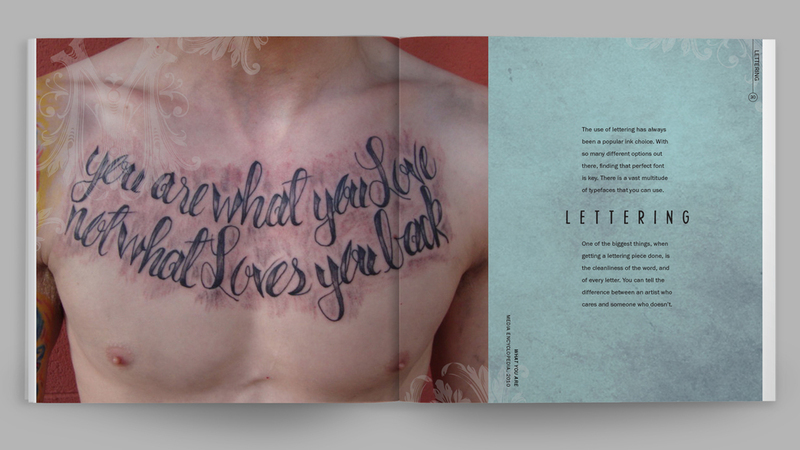 I created this informational catalog as a brief introduction to the world of tattooing: differentiating the most popular styles of tattooing and supplying visual examples of body art.